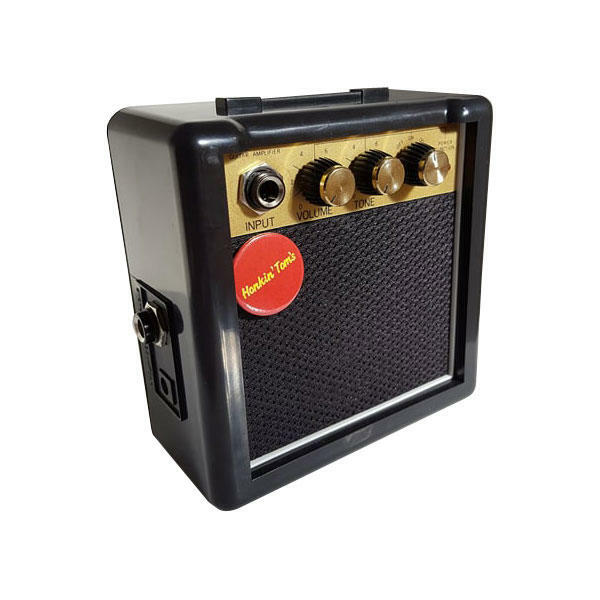 I have tried loads of cheap mini guitar amps and a few expensive ones too but none sound as good as this little beast! If you are looking for a raw amplified tone, ballsy but not feeding back you have found it here. Pull out your best key harmonica and start blowin'. At 3w it is loud enough for bedroom acoustic jams but not enough to annoy the neighbours, even try your hand at busking! Comes with belt clip and runs off a 9v battery (included) but also can be used with a 9v adapter so you can plug into the wall if you’re at home. Has tone, volume and on/off switch with overdrive function, takes 1/4 inch jack and has headphone socket. This amp would make a great harmonica gift to buy if you know someone looking to take the next step in their harp skills.